NativeScript solves a BIG problem. Your mobile application must support all platforms. Your budget can only support one platform. The productivity of a business unit is influenced by its mobility. True mobility requires native application support across the many disparate devices your teams rely on. However, supporting each of these platforms can quickly exhaust development resources. NativeScript is the mobile development platform for building native applications supporting iOS and Android from a single codebase. With 100% shared code across device platforms, NativeScript reduces development times, accelerates testing, and lowers maintenance costs. 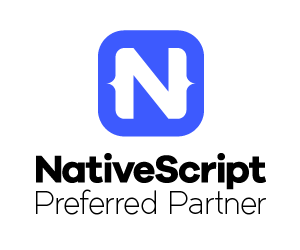 As a NativeScript Preferred Partner, Convective is uniquely positioned to deliver on the promise of true cross-platform native mobile application development. With our exclusive 4C development process, you can be confident in an exceptional solution backed by enterprise experience spanning decades. Are you ready for true native mobility? Let’s do this.